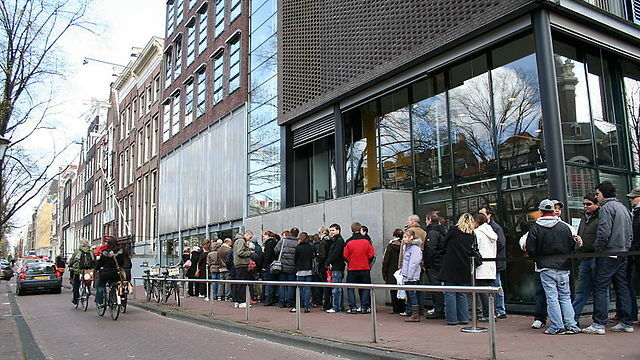 Dutch-Jewish collaborator Ans van Dijk said to have given up location of Anne Frank, her family to Nazi authorities in occupied Netherlands after being arrested by Nazi intelligence herself; while claim is not new, book’s author provides testimony from his father, who knew the collaborator; Anne Frank House: van Dijk was taken into account as potential traitor, but no evidence was found in support of theory. 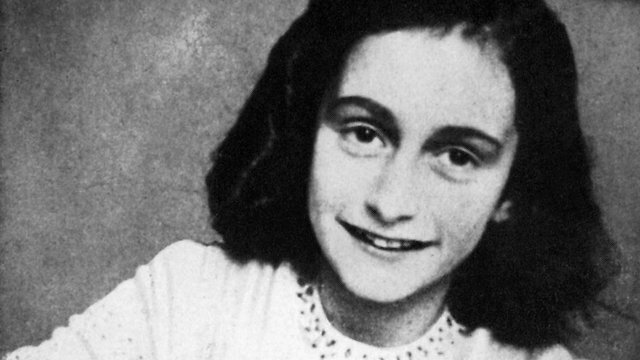 Anne Frank and her family were captured by Nazis after being betrayed by a Jewish woman, alleged a new book attempting to uncover the mystery of the Frank family being found in a secret annex of an Amsterdam building in 1944. The Guardian newspaper reported Friday that according to the book—titled “The Backyard of the Secret Annex”—Dutch-Jewish collaborator Ans van Dijk reported their hiding place. Van Dijk was executed after the Second World War for her collusion with the Nazis, after confessing to giving up 145 Jews, including her own brother and his family. 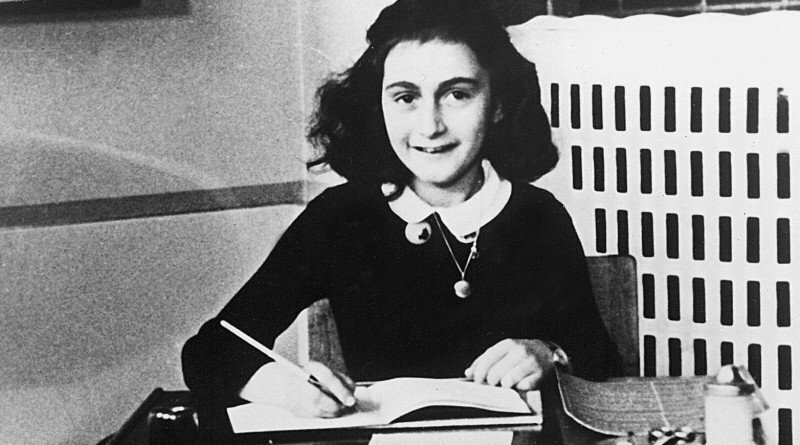 While it had been previously claimed she was also guilty of turning over the Frank family, the Anne Frank House museum in Amsterdam and its research center failed to reach any conclusion on the matter, despite studies and a police investigation into her actions. In his new book, however, author Gerard Kremer, 70, claimed he has solved the mystery. Kremer’s father was a member of the anti-Nazi Dutch underground, and was an acquaintance of van Dijk in Amsterdam. The author’s father, who died in 1978, was said to have been a caretaker in an office building in the Dutch capital, two floors of which were taken over by the German authorities and the Dutch Nazi organization—the NSB—during the Nazi occupation of The Netherlands. Kremer’s father recounted van Dijk’s arrest by the Nazi intelligence service on the first day of Easter in 1943. After her arrest, she made frequent visits to the building, in costume, and used telephones in the appropriated offices. The book further outlined that Kremer overheard talk in the Nazi offices in early August 1944 regarding the region where Frank and her family were hiding, and that van Dijk took part in those conversations. Anne and her family members were arrested August 4, while van Dijk left Amsterdam for The Hague. A spokeswoman for Anne Frank House told The Guardian that the museum contacted the book’s author, but he could provide no evidence proving van Dijk’s culpability. After the war and van Dijk’s move to The Hague, she was arrested at a friend’s house on June 20, 1945. She was later charged with 23 counts of treason and brought before a special tribunal in Amsterdam, where she confessed to all counts and was sentenced to death. 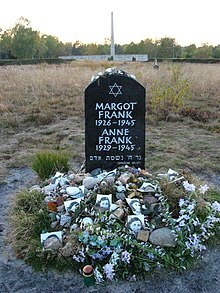 Her subsequent attempts to appeal the verdict and receive a royal pardon, with the claim she was merely acting out of self preservation, failed and she was executed by firing squad in January, 1948. The night before her execution she was baptized and joined the Roman Catholic Church. Meyer was pleased to have established contact with Otto and sent him a copy of In Search two days later, “so that you may have some notion of my work.” He wished to assure Otto that his interest in the Diary was not commercial but “one of sympathy” with the experiences and ideas expressed throughout. 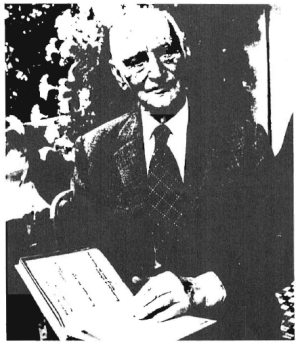 It was his wish to translate the work and to “suggest … to my contacts in these fields” that it contained “the material for a very touching play or film.” While he believed that the likelihood of finding a commercial producer for such a project was “remote,” he hoped that with Otto’s consent, he could “feel free” to approach those whom he knew. Otto had not yet begun to read In Search when he sent a long, detailed answer to Meyer’s several requests. Had Otto read his book, he might have responded with less enthusiasm, given its emphasis on Jewish themes and identity. He had, however, seen Meyer’s film on the Yishuv, the Jewish settlement in Palestine, and had been favorably impressed. Otto said that his friend of several decades, Nathan Straus, the president of New York’s WMCA Radio and scion of the influential Straus family, was at the moment discussing with Random House the possibility of British copublication. But he wanted Meyer to know that “in case you should have some ideas on the direction of the film, you are absolutely free.” And though he gladly placed himself at Meyer’s “disposal” should he need “any assistance,” he found it difficult to see how Anne’s book, whose “value … is laying in her thoughts,” could be transferred to the screen. Perhaps Otto’s disavowal was sincere, but he had nonetheless included dramatic, radio, film, and television rights in his 1947 contract with Ernest Kuhn, a New York attorney who continued to represent him in any negotiations with American and Canadian publishers. Otto could hardly have been as surprised by the idea of dramatization for screen or other medium as he must have appeared to Meyer. Although nothing had come of a Twentieth Century Fox reading of the Diary a few years earlier, Otto had some hope that it could be sold now that he had witnessed the interest of a major film company. Without offering a firm commitment, Otto encouraged Meyer to do all that he could to secure a producer, aware not only of the role of an agent, but of the difference between one under contract and another who worked without a binding agreement. If dramatized, the film would in all likelihood be the first of its kind, Otto noted six days after his first letter to Meyer, “the situation of a hiding family … not yet worked out in a film as far as I know.” He hoped to hear from Meyer again, even if a film of Anne’s work would ultimately “be rather different from the real contents of her book,” a prospect seemingly of less concern to him than one might otherwise have expected. Otto wrote again on October 9 concerning Random House and thanked Meyer “for all you are doing!” But Meyer thought it best for Otto to deal directly with the publisher and to allow his Paris agent to pursue the progress already made with Valentine Mitchell. Meyer would, of course, be willing to help with publication of the Diary if a problem developed. Two weeks later, Meyer wrote Otto from New York of the interest shown by two film producers, for whom Otto then sent copies of the French translation. With Random House awaiting “further word” concerning publication arrangements with Valentine Mitchell, Meyer advised Otto to sign with the British house so that an American contract could at last be negotiated. When a dispute arose with Little, Brown, Otto wrote Meyer detailing his concern that a contract with them might force him to concede these rights. To protect himself, he asked Meyer to inform the translator and publisher that he was “busy in this matter already and … that the American publishers (or the English and others) had no [dramatic] rights as the book is known already.” Whether sincere or merely following his business sense, Otto assured Meyer that “it is self-understood that I refer to you in case someone else would write me about these rights.” Although Meyer would not participate in this questionable scheme (“I didn’t feel that I should further interject myself,” he wrote Otto upon his return to Paris on December 29), he was pleased to receive Otto’s confirmation that he would indeed play a prominent role as a writer in any future dramatization of the Diary. Having heard from Meyer that efforts “to interest people in the film and stage possibilities” were continuing, Otto again promised that “about film and stage rights we will stay in contact.” It is curious that Otto made no comment on Meyer’s “Restricted Market” Congress Weekly other than to thank him for the “fine article.” He continued to read In Search, but being “pretty nervous” and unable to “find yet rest,” he still had not finished the book. (When Meyer later raised the issue of Otto’s emotional state at this time, Otto denied ever having experienced such agitation.) Negotiations between Little, Brown and Valentine Mitchell over Canadian rights were in the meantime delaying publication. “It is their fault,” Otto told Meyer, as Little, Brown had initially asked only for “U.S. rights”; Canada was a Commonwealth nation and rightly Valentine Mitchell’s. While Meyer independently continued his search for a producer over the next two months, little occurred beyond negotiations with Little, Brown concerning film and theater rights. Then, on March 14, 1951, Francis Price, Doubleday’s European agent, wrote Otto for the second time of their interest in the Diary. Having failed to receive a response to his first inquiry some months earlier, he repeated Doubleday’s firm offer of terms financially similar to Little, Brown’s. The facts of the matter are this: In September of 1949 I was sent to Paris to open Doubleday’s first editorial and sales office in Europe, and the very first book for which I contracted for American publication was Manes Sperber’s “The Burned Bramble.” Manes was then (and still is) an editorial consultant for the Paris publishing house of Calmann-Levy, and in this capacity he had come across “The Diary of Anne Frank,” which at that time had been published only in Amsterdam. He immediately recognized the unique quality of the diary and arranged for its translation and publication in France. And as soon as the French translation was completed, he brought it to me. I sent it on to Donald Elder, the senior editor at Doubleday who was in charge of liaison with the Paris office, with the strongest possible recommendation for its acceptance. 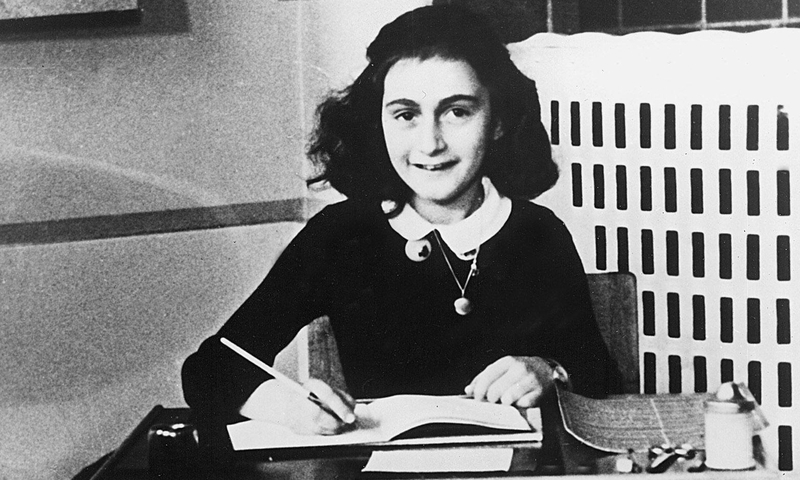 A month later I was authorized to offer an advance and a contract to Anne’s father, Otto Frank. Although Zimmerman was “present at the creation,” Price denied any legitimacy to her “truthfully claiming to be the mother.” Rather, the Diary’s “success came about primarily as a result of something over which they had no control–Meyer Levin’s memorable front-page review … in the New York Times Book Review.” Zimmerman’s otherwise crucial role in the Diary’s postpublication history, however, remained forever unknown to Price. The arrival of Price’s letter even as Little, Brown continued to demand a significantly larger percentage of the sale of the book for film, radio, television, and theater settled the matter for Otto. Little, Brown maintained that its offer had been based on this assumption of “special rights.” No matter how lucrative the book might prove, the publisher insisted that such additional revenues were necessary to offset the “high operating costs in publishing now” and it had taken the liberty of restoring this “special rights” clause, which Otto had crossed out when signing the contract several days earlier. Otto similarly removed many of the passages that reflected Anne’s deepening awareness of herself as a Jew. “This morning Miep told us that last night they were dragging Jews from house after house again,” Anne had recorded during their early weeks in hiding. “If I just think of how we live here, I usually come to the conclusion that it is a paradise compared with how other Jews who are not hiding must be living,” she noted some time later. 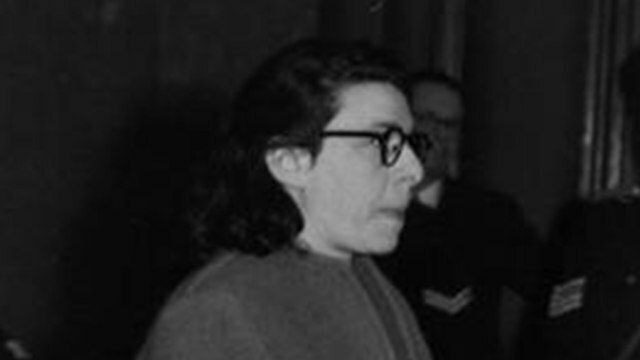 After only three months in the Annex, Anne wrote, “Yesterday it was Yom Kippur, and there can’t be many people who will have kept it as quietly as we did.” More than a year later, she further noted the passage of Jewish time by recording how the group had “skipped Chanuka” in their second year of hiding, an event unparalleled in the life of her family. Each of these references, and others, Otto would delete, denying Anne her own voice as she grew. In “the second half of 1943,” she noted in a similarly excised passage, “I became a young woman, an adult in body and my mind underwent a very great change, I came to know God!” Having so carefully molded the Anne he wished the world to see, an Anne reflective of his own background–secular, uneducated in Judaism, and anti-Zionist–Otto could not allow others to reshape his daughter’s portrait in her own image. Before leaving for Amsterdam, Otto fulfilled a long-standing promise to visit with Meyer and his family. The contents of their conversation on March 30 were later the subject of much dispute. For the moment, it was a chance for all to meet. Meyer and Tereska repeated their interest and thoughts concerning Anne’s Diary and the young woman they had come to know through it, while Otto thanked them for the kindnesses they had shown over the past half year toward him and his efforts to bring Anne’s work to an ever-greater audience. Just how much discussion took place at this time regarding Meyer’s efforts to secure a film or theater producer ultimately became the basis for an extended legal battle. From Amsterdam, Otto wrote Clairouin on April 3 that he had begun to negotiate with Doubleday on his own and that despite the agency’s having made initial contact with Price, it was no longer needed. He promised, however, to keep the agency informed of developments. Clairouin’s Madame Tschebeko responded three days later and wrote again after another three weeks, arguing that the agency was entitled to a standard commission for all its work over the last year or more and for a continuing role in the negotiations. But by that time, Otto’s contract with Doubleday had been signed. Price had sailed to New York immediately after his meeting with Otto in Paris and had secured a contract for him with the unusual stipulation that “the ultimate decision” concerning all nonprint use of the Diary would “remain entirely in your hands.” Receipt of this contract had allowed Otto to send his final note of refusal to Little, Brown on April 18. “I suppose that it is useless to go further into the matter,” he wrote, without mentioning that he had reached an agreement with another publisher. Meyer requested a copy of the Diary’s English translation to give to this potential producer for consideration. Otto advised Meyer that although Valentine Mitchell’s retranslation was only partially completed, the earlier English version was available and would be sent. It was the translation whose rendering he had encouraged but for which, because it would not be published, he had refused to make payment. Still not mentioning his Doubleday contract, Otto asked Meyer what he knew of the Italian film producers who had shown some interest (a question he also had recently put to Price). Meyer advised Otto on May 12 that the best Italian producers had focused exclusively on “Italian life” and that with finances being an essential question everywhere, it would be best to continue looking in England and America, where “one would [not] have to ‘sell’ one of the producers on doing the film.” Otto again thanked Meyer and, without mentioning the Doubleday contract, continued to encourage representation in these matters. “I have enough confidence in you and your wife [whose ongoing interests had begun with her letter to Otto a day before Meyer’s first] to leave the film question to your judgment, knowing that you will not start any binding arrangements and keep things in hand.” By spring 1951, Otto had managed to secure the services of two agents in his search for wider exposure for Anne’s Diary. But to one, he had made no binding commitment of his own.